A Slow Cooker Pork Loin roast that’s cooked in an amazing Honey Butter Garlic Sauce until fork tender yet sliceable! It’s a slow cooker pork roast recipe that works fabulously with pork loin, shoulder and scotch fillet, for your slow cooker, pressure cooker or oven. Easy enough for midweek yet impressive enough for company, this crock pot pork loin is going to rock your world! It’s a spice rubbed pork loin that’s cooked until it’s so tender, you don’t need a knife to eat it – but you can still slice it like classic roasts. It’s cooked partially submerged in a miracle 4 ingredient Honey Butter Garlic Sauce which infuses the pork with flavour, adds juiciness and transforms into an amazing syrupy sauce to serve the pork with. Pork loin is a lean cut of meat so it’s ideal to have a buttery strong flavoured sauce to serve it with! The Honey Butter Sauce for this Slow Cooker Pork Loin is made using the juices remaining in the slow cooker when the pork is cooked. Straight out of the slow cooker, the flavor of the sauce is a bit thin so it needs to be reduced and I also like to thicken it a touch using corn flour to make it a syrupy thickness. It’s ideal for serving with a Slow Cooker Pork Loin because it adds richness to an otherwise lean meat. Bonus: this recipe makes tons of sauce to smother your veggies and potatoes with it too! Spice Rub:Rub pork with about 1 tsp oil. Mix Rub together then sprinkle over pork. Pat to adhere all over. Brown: Heat 1 tbsp oil in a large skillet over medium heat. Add pork and sear all around until deep golden brown (don't let spices burn). Place pork in slow cooker. Honey Butter Sauce: Wipe pan. Add butter and melt. 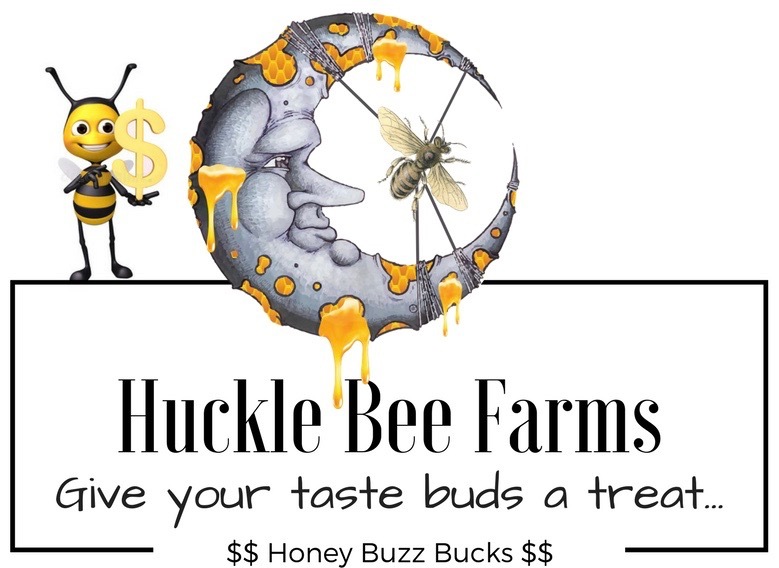 Add Huckle Bee Farms Garlic Infused Honey. Add remaining ingredients, mix, simmer rapidly for 30 seconds. Remove pork onto serving platter, cover loosely with foil (10 - 20 minutes rest). Pour all juices in slow cooker into large saucepan. Add cornflour water mixture, mix. Thicken Sauce:Simmer on medium high for 5 minutes or until it reduces down to a syrupy consistency. Slice pork into thick slices (1.5 - 2 cm / 3/5 - 4/5" thick). Serve with PLENTY of Honey Butter Sauce!